A very warm welcome to the Three Towns Forum - a discussion forum covering the towns of Llandudno, Colwyn Bay & Conwy in beautiful North Wales. Because most of us in that local area have lived, worked, socialised or stayed in all three of the towns during our lifetime and, so, have an interest in and affection for all of them. 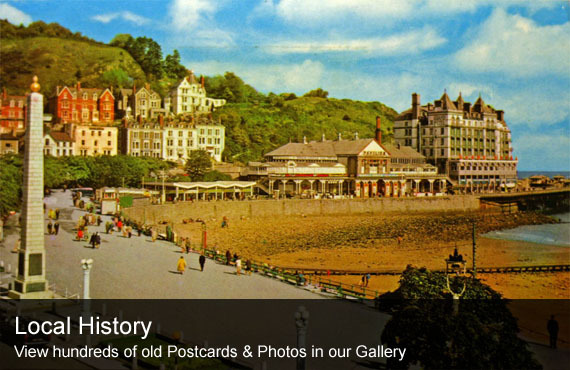 Everyone; whether local, visitor or just someone with an interest in Llandudno, Colwyn Bay or Conwy is welcome to read the posts and join in with their own thoughts & comments. Signing up as a Member is free and simple - just click HERE to enter the main Forum, then click on 'Register' at the top of the screen, fill in your details and your account will be created for you to start posting immediately. We look forward to having you on board! Whatever you're interested in, you'll find something to grab your attention in the Three Towns Forum. Got a question about the local area? Maybe you need someone to recommend a Painter or Builder? Or perhaps you'd like to recommend a local business? Are you trying to find out information for your Family Tree? Whatever your question or comment, post it on the Forum and join 6,000+ visitors a month in North Wales' liveliest online community. At the Three Towns Forum, we believe that independent businesses are the cornerstone of the local economy. Accordingly, we can offer local businesses the chance to advertise on the Three Towns Forum at affordable rates. With over 1,000,000 pages viewed every month (and growing), the Three Towns Forum is one of the most visited local websites in Wales and offers an excellent opportunity to get your business noticed by Locals and Visitors to the area alike. Even better, all surplus revenues from Paid Advertising will be distributed to non-profit groups in the Three Towns area. Everyone's a winner! Besides the main towns of Llandudno, Colwyn Bay & Conwy, we also chat about the smaller villages in the area - places like Llandudno Junction, Penrhyn Bay, Craigside, Craig Y Don, Deganwy, Rhos on Sea, Glan Conwy, Mochdre, Old Colwyn, Great Orme, Llysfaen. If you want to get something off your chest and we don't already have a discussion running for your village, feel free to start your own!